It is our top priority to meet your needs for a clean, safe and comfortable Retail environment. Clearly it is a key to creating a positive and enjoyable shopping experience, in order to keep your customers coming back time and time again. We work with any Retail Businesses, such as the individual Retailer, National Chains, Department Stores, Supermarkets and indeed Shopping Centers. Some of the services we provide for Retailers and Shopping Centers include, but not limited to, Glass Cleaning Services, Furniture Cleaning, Window Cleaning, Carpet Cleaning, Floor Cleaning and Professional Janitorial Services. We can deliver Tailored Cleaning Solutions for Shops, Department Stores and Supermarkets making sure that we compliment and support your customer service objectives. 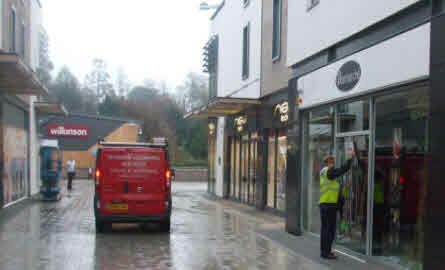 As a Professional Cleaning Company we understand the big challenges that service providers face in Shopping Centres in meeting the exacting needs of the customer. Car Showrooms demand perfection in cleaning practices. Our commitment to high cleaning standards, quality staff and cleaning quality audits enable us to excel in this highly demanding sector. We are experts in meeting your needs in a dynamic industry where the customer is clearly king. If you are looking for a Contract Cleaning Company or a Business Cleaning Contractor in the UK, please call us to see how we can help you. Or Click Here to send us a mail. Petrol Forecourt Cleaning has some very special and unique conditions attached to it. They tend to be very busy places with people and cars coming and going all the time. 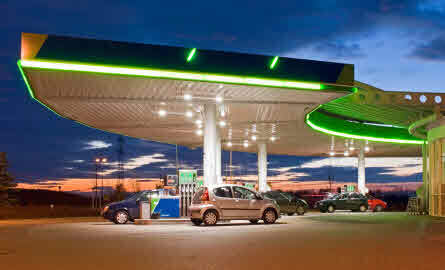 So with this in mind we are able to tailor a Garage Forecourt Cleaning solution to your requirements so as to minimise the disruption to your business. Clearly the equipment we use is also very important as it needs to be both portable and efficient in order to do a quick and efficient job with the minimum of setup time. Click Here or give us a call to see how we can help you. Due to the very busy nature of such businesses, Cleanerflow can provide this cleaning service out of your normal office hours thus minimising any major disruption to customers and the business. We also have specialised cleaning lances which can reach way up to canopy tops, thus avoiding the necessity for heavy lifting equipment or even scaffolding. The knock on effects of this, importantly, is keeping the cleaning costs down for you the customer. The effective clean and professional appearance to all of your external and forecourt areas will pay dividends time and again.